Banjo Master Mike Scott is seen by millions of TV viewers in the USA each week during prime-time on RFD-TV, (60 million households), performing with Ronnie Reno & The Reno Tradition on Reno’s Old Time Music Show. Country, Gospel and Bluegrass fans also enjoyed Scott’s stellar banjo playing for many years as a member of the Virginia Boys who backed Bluegrass legends Jim & Jesse during the 80’s. I was born and raised in the Appalachian Mountains of East Tennessee. I first heard many of these good old Gospel songs in “The Old Country Church” where I grew up. Sunday afternoons with dinner on the ground is a wonderful memory of fun, friends, food and fellowship. This was just a way of life at our house too. Following the railroad tracks down Piney Flats Road in Watauga, TN is our family’s old two-story farmhouse where I grew up with a big front porch. Friends and family didn’t have to call before coming over. If they saw us out on the porch, they just stopped by, often bringing a basket of homegrown vegetables or some homemade jellies and jams. Before I knew it, Dad had an audience for me and would say, “Mike, get that banjo out.” I played many of these “Old Country Church” songs since most folks were familiar with them. To this day, I still love to have these gatherings and fellowship in the same way, the same songs – Mike Scott. 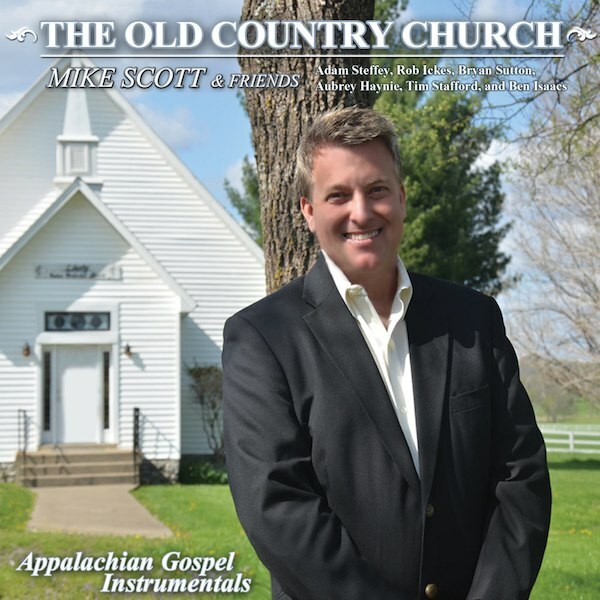 The Old Country Church is now available for D.J. download on AirPlay Direct. “Where The Soul Of Man Never Dies” has been released as the focus track for radio and appears on the Rural Rhythm Records Fresh Cuts & Key Tracks Radio CD that is now up on AirPlay Direct for D.J. download and the physical CD has been serviced to radio this week. Mike Scott is also touring nationally with his band “Mike Scott & The Nashville Band” in support of the new album. Go to mikescottmusic.com for tour info.